EXCLUSIVE! Warn the world of your superior sister! 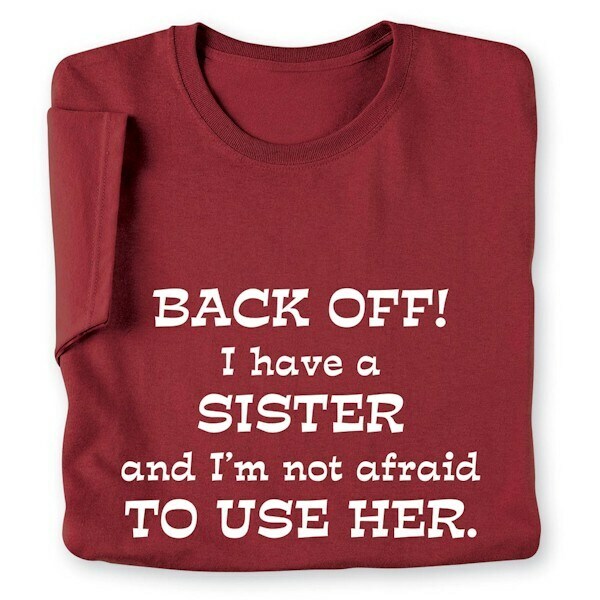 Ladies T-shirt is 100% cotton, Sweatshirt 50/50 blend. Imported. S-XXL.